Equipped with both longitudinal and transversal foil shafts, our Automatic Foil Stamping Machines (TYM1050B) are of immaculate quality. 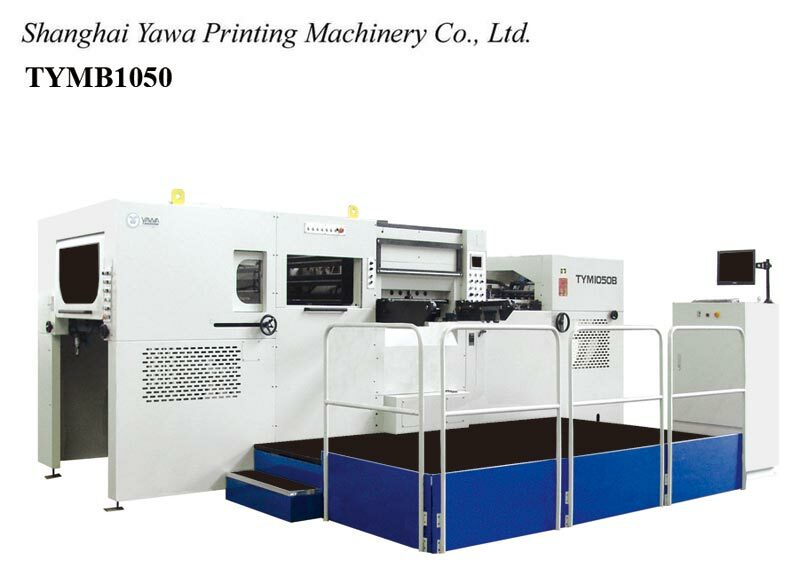 We are an eminent Manufacturer and Supplier of Automatic Foil Stamping Machines (TYM1050B) from China. LCD touch screen is used for display, machine trouble, warning, running state, etc. Temperature is controlled separately in every zone with timing for heating, which improves the overall efficiency. One can obtain the Machines at reasonable rates. TYM1050B automatic foil stamping and die cutting machine is equipped with both longitudinal and transversal foil shafts. This press control by IPC system. LCD touch screen is used for display, machine trouble, warning, running state, maintain register etc. Operation is more user friendly. Stamping controlling system follows the full process of the short and long step. It hints when the foil roller are nearly finished and has long-distance diagnoses and maintaining function. Temperature controlled separately in each zone with timing for heating which improves working efficiency a lot.